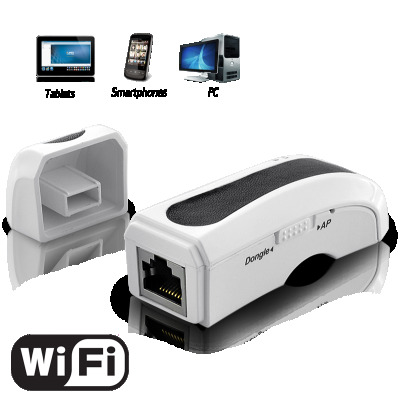 Successfully Added Mini Wireless Portable Router for Tablets, Phones, PC to your Shopping Cart. 1, 2, 3, 4, 5 and this Mini Wireless Router is connected to your Ethernet cable and online! No software installation is needed as this is a Simple Plug and Play (AP) access point for your Tablet, Smartphone and Laptop. This Wi-fi Router is paramount for business travelers, holiday makers and hotels guests or anyone who enjoys the convenience of Wi-fi, wherever they are in the world. But this little gadget isn’t just a simple Router, it's also a Wireless USB adapter (Wi-Fi Dongle) for your desktop computer or laptop. This miniature design is perfect for use with portable laptops and is ideal for busy commuters. Compatible with 802.11b/g standards, it guarantees you the fastest way to access internet, as you can be sure it'll work with your wireless router or any public Wi-Fi hotspot. Buy one for yourself and then stock your online store with this incredible all in one gadget. Order today and we’ll ship it out tomorrow, it will also come with our 12 month product warranty, and so you have nothing to worry about. Brought to you by the leader in wholesale electronics, Chinavasion. Note: The 5V USB power adapter is not included. To be able to use AP function, you need to buy a 5V USB/DC adapter.